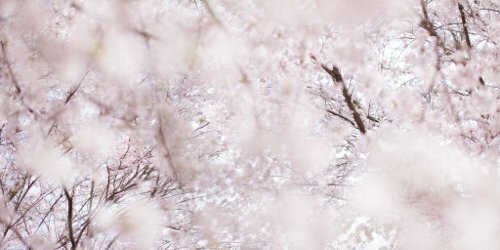 Indie perfumer Dawn Spencer Hurwitz recently released the final "season" in her Haiku/Japan::Moonlight series, now comprised of Gekkou Hanami (Spring), Tsukiyo-en (Summer), Tsukimi (Autumn), and last but not least, Shimotsuki (Winter). Tsukimi was my favorite so far, but now I'm a bit smitten with Shimotsuki too. Shimotsuki, whose name translates as "frosty moon," is described as "a delicate and snowy soft perfume with frosty freshness in the top note, a contemplative hawthorn and orris heart, and dry woods in the base." According to the DSH website, it also includes notes of rice, white tea, yuzu, peach skin, violet leaf, rose, seaweed, ambrette, fir, sandalwood, frankincense, hinoki and musk. If Shimotsuki were an item of clothing, it would be a cashmere cardigan in a pale gray hue. It's soft, gender-neutral and could be worn most of the year; it stays close to the skin and feels comfortable yet quietly stylish. It opens with a very faint hint of citrus and a fleeting fig note, but other than this introduction it's not a fruity scent. Shimotsuki's heart is a milky-musky hawthorn accented by notes of steamed rice and green sap. The green note fades out but the hawthorn persists, turning slightly more almond-y. At one point I do pick up a suggestion of the floral notes — rose and iris — but they're muted, in keeping with the rest of the composition. Shimotuski eventually wears as a skin scent, with a sheer and creamy sandalwood underlying powdery musk. I tried Shimotsuki in its Eau de Parfum concentration, and found that it had gentle sillage and below-average staying power on my skin. I carried my tiny roller-ball sample with me so that I could touch up throughout the day, and Shimotsuki made me feel soothed and blissful every time. If you're someone who enjoys scents like Frederic Malle L'Eau d'Hiver, Olfactive Studio Lumière Blanche and the (discontinued, alas!) Paul & Joe Blanc, you'll probably want to try Shimotsuki. It has a similar warm/cool concept and similar balance of airy, powdery and woody notes. Shimotsuki reminds us, in Hurwitz's words, that "in the dead of Winter the seeds of Spring and new life are found." It may have been conceived as an homage to winter, but it also works well for a very delayed spring; it feels just right as I finally shed some winter layers and turn my face to the sky. Dawn Spencer Hurwitz Shimotsuki is available in a variety of sizes and formats. For more information see the Dawn Spencer Hurwitz Perfumes website. Note: top image is Remember [cropped] by けんたま/KENTAMA at flickr; some rights reserved. Lovely review and Shimotsuki sounds beautiful! Thank you! I’ve been enjoying this Haiku series…nice work by DSH! Hah! It doesn’t have as much depth or staying power, but it definitely feels like a niece/nephew of L’Eau d’Hiver. I will add this to my long list of DSH perfumes to try. I love a good hawthorn note, and I don’t find it in too many perfumes these days. Or maybe it’s in more than I think, but there are just too many releases to keep up with. I still have about 10ml in my Paul & Joe Blanc bottle and will miss it when it’s gone.